und in den Säulengängen haust der Wind. wo eigne Schritte eingezeichnet sind. mit meinem Krug voll Kummer und voll Glück. in deinen Augen wie ein Gast gewohnt. in denen wir einander jetzt versäumt? bringt, was ich in Jahrtausenden erträumt. 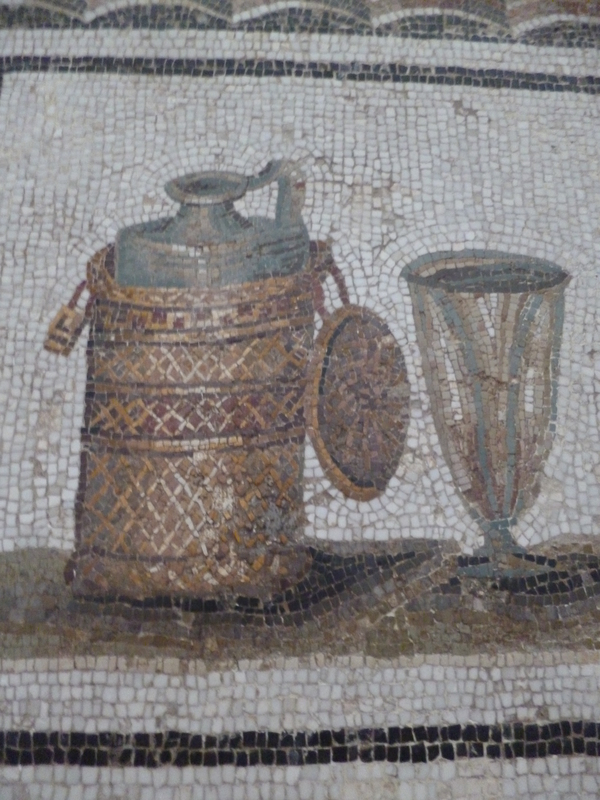 The fifth year of this poetry blog sets off, as always, with a Roman road or another ancient road! The location is imaginary. The three images for the former life all have to do with the earth: the feet and shoes; the mosaics in the floor; the grave by the wayside. Two of the images also refer to wandering, our wandering on earth: the soles wearing the pavement down and the horse in the mosaic. The second poem mentions the status of guest; as the psalms express it, we are all guests on earth. Photograph: Christina Egan © 2016. International highway, Via Domitia, crossing the forum of Narbonne. I suppose this bit had been much damaged and patched up, since the Romans built entirely straight and smooth roads! Göttern den ersten Tropfen, den letzten dem fernen Geliebten. marmornes Bildnis verborgen im Haine heiliger Pinien. ewig harrt man allein, allein unter schweigenden Sternen. The poem is written in hexametres, which I find difficult to emulate in English and German. 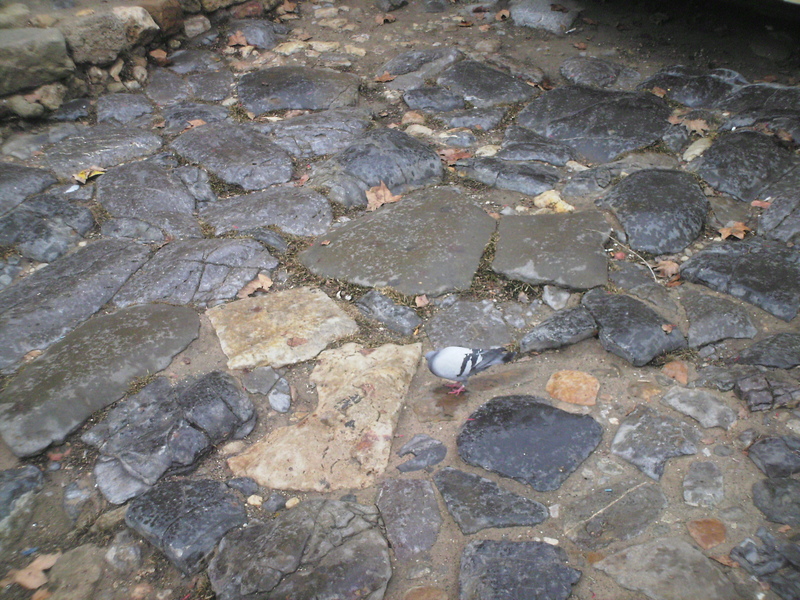 You can find another story with spilt wine and ancient roads, in the form of an English poem, at Quo vadis?. 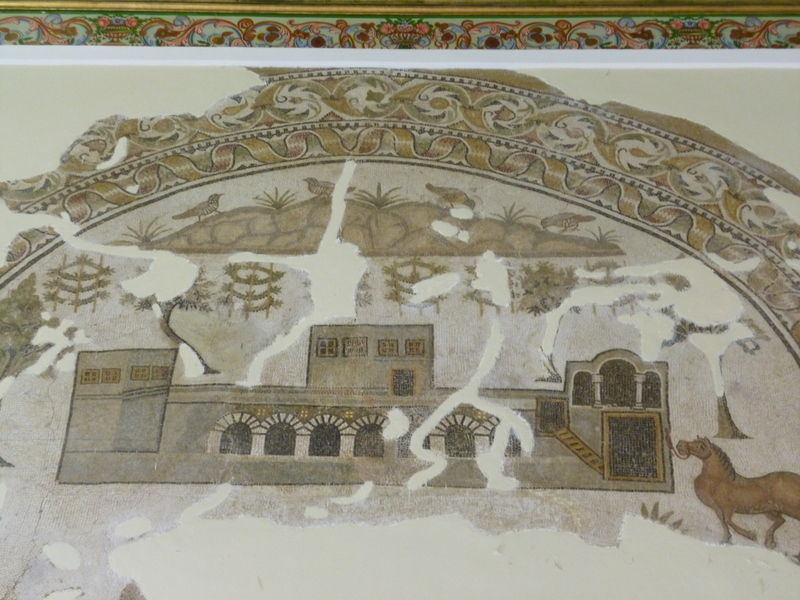 Roman mosaic, Bardo Museum, Tunis. I begin the year with a Roman road for the third time round! I do not speak of natural or magical force fields but of manmade structures; however, these are imbued with destiny, in that people were meant to build them, move along them, or return to them… perhaps even after thousands of years. facing the winds, the seasons, the years. to guard the goods going round and the people. I see you could shelter me still or crush me. from Paris to Sousse and Palmyra. you tell me to tell your story to all. 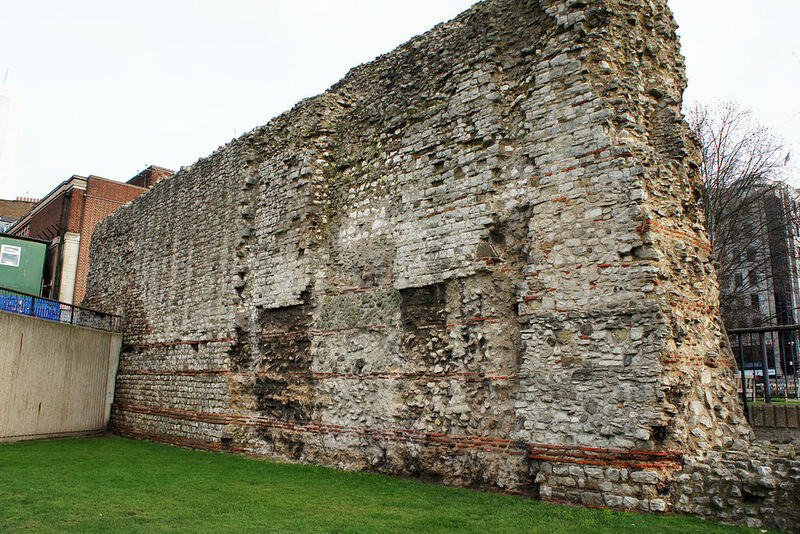 You can see a section of the Wall of London and learn more about it in the Roman Galleries of the Museum of London. A visit there inspired me to write these lines. I talk to the stones as they talk to me; and I pass their story on. by Mariordo (Mario Roberto Durán Ortiz). storks and starlings built their home. with new lanes across the grid. on the ground of proud old Rome! After the end of the Roman Empire, the Roman City of London was left uninhabited for generations, while a new city sprung up next to it; later, the original precincts became the centre again. This area is now known as ‘The City of London’, although it forms only a small part of the centre of town. This little song alludes to the nursery rhyme London Bridge is falling down. un rêve de murs couleurs océan. lieu lumineux et réapparu ? Ô vent de la mer, Ô vent de ma vie ! a dream of walls resembling the sea. the luminous place that has just reappeared? O Wind from the Sea, O wind of my soul! 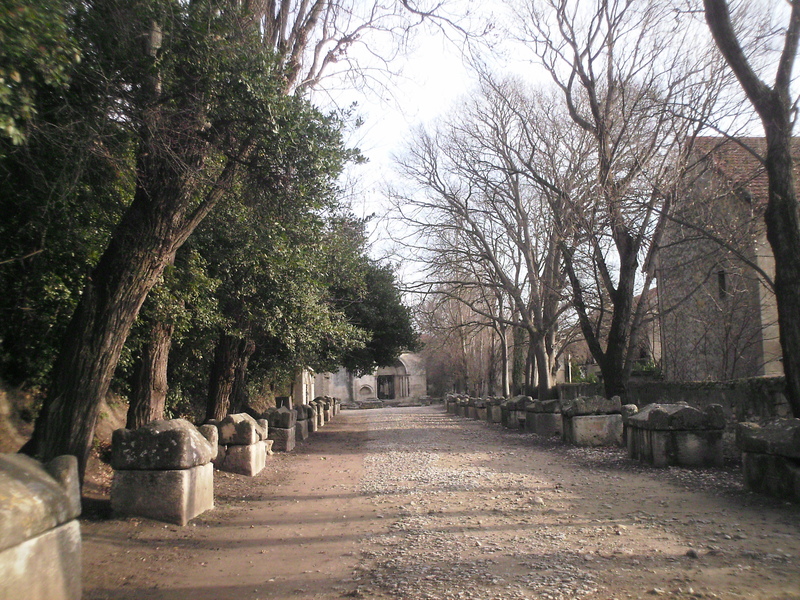 The Roman cemetery known as the Alyscamps has been immortalised by Paul Gauguin and Vincent van Gogh. 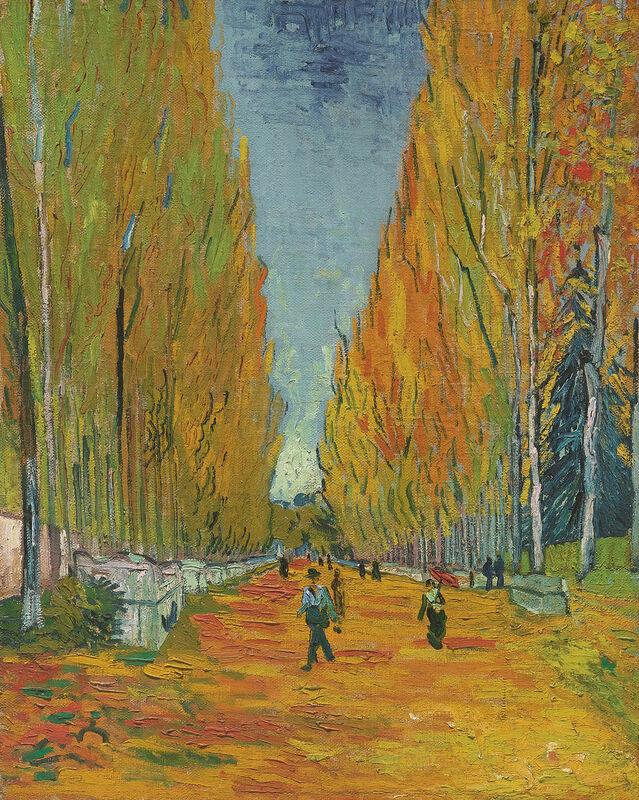 Vincent van Gogh: L’Allée des Alyscamps (1888). Photograph: Public domain, via Wikimedia Commons. 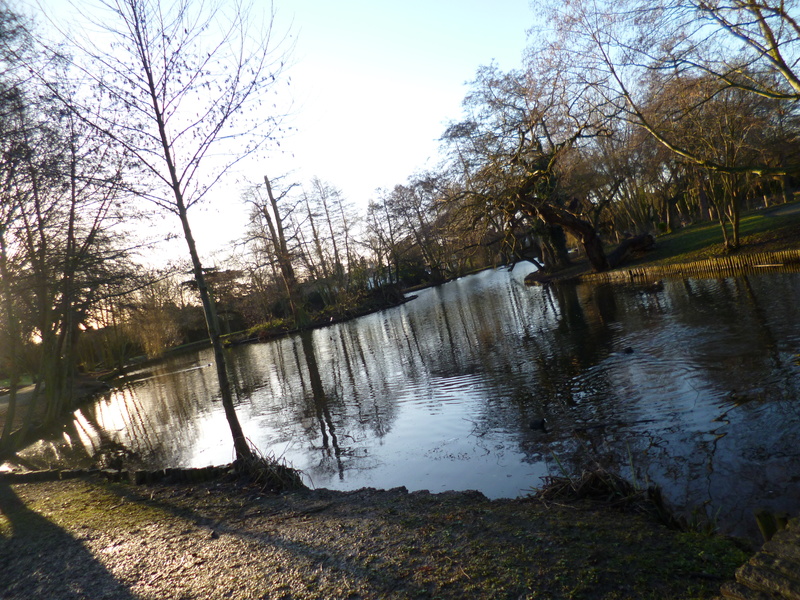 You can read an English and German poem about a Roman road in France at Where Road and River Meet / Überm Fluß . of carts and coaches and a thousand hooves. I am the arch where road and river meet. of once eleven comrades, I’m the last. I’ll hold your voices, too, when you have passed. von Karren und von Kutschen über Land. Ich bin der Brückenbogen überm Fluß. elf Kameraden einst,—nur ich blieb stehn. und eure Stimmen im Vorübergehn. 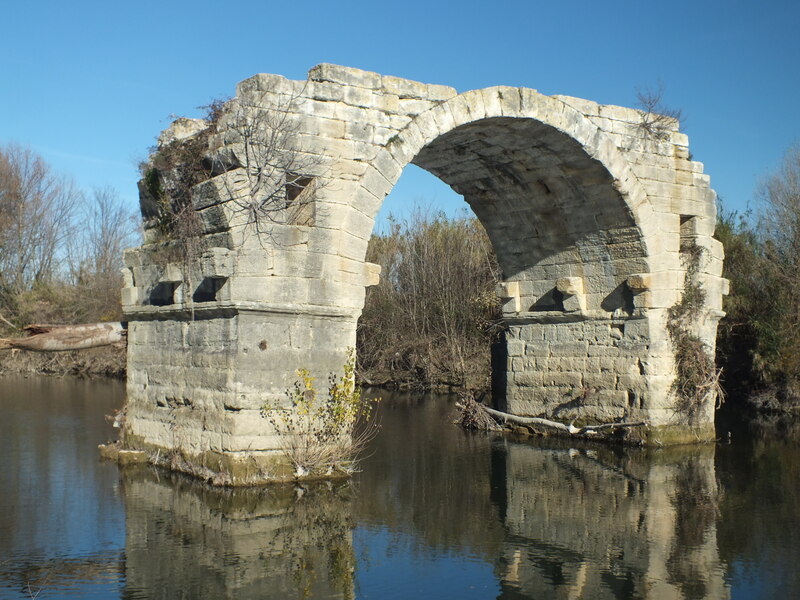 The remaining arch of the Pont Ambroix at Ambrussum, once part of the Via Domitia from Italy through France to Spain. Photograph: By Clem Rutter, Rochester, Kent, via Wikimedia Commons. 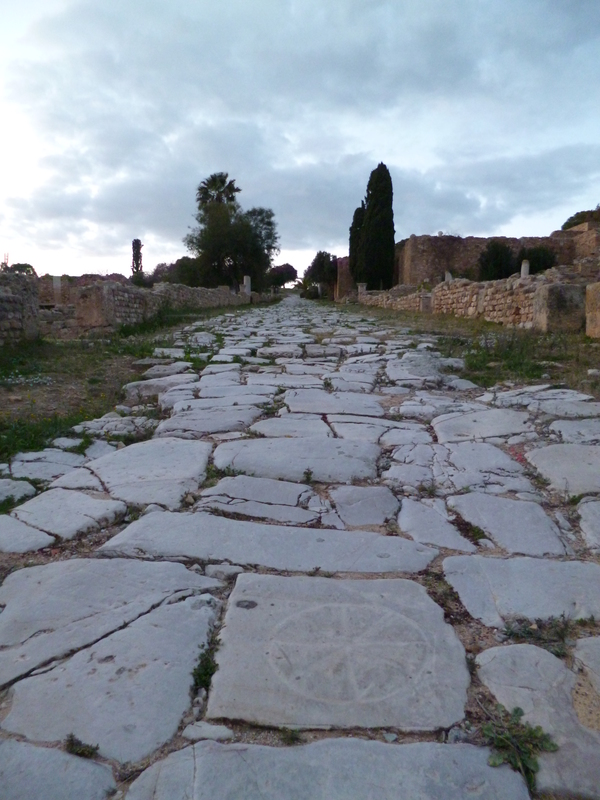 I begin this year’s posts like last years’: with a Roman road !